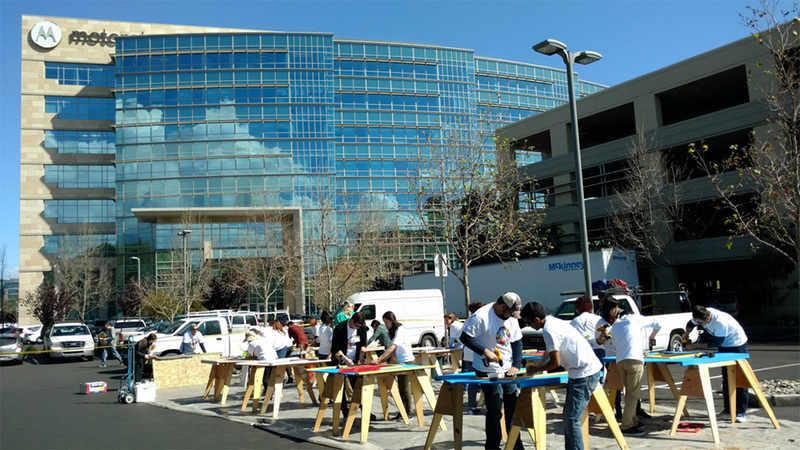 On March 22nd, more than 80 Motorolans gave back to the Sunnyvale, CA community through Motoserve -- a designated day of volunteer service. Hosted for the past two years at Motorola’s global headquarters in Chicago, we were excited to expand this event for the first time to our Sunnyvale office and have participation from our Lenovo colleagues in the area. Resource Area for Teaching (RAFT): Sorting donations and assembling hands-on Activity Kits that local educators use to transform the learning experience for children. 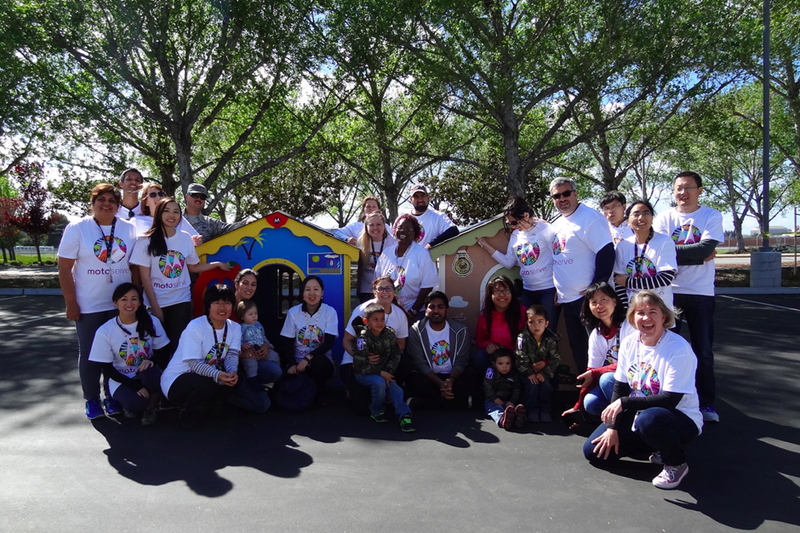 Habitat for Humanity East Bay/Silicon Valley: Building, decorating, and assembling two children’s playhouses from scratch, which Habitat then donates to a local family or charity. The program supports the construction of affordable housing in the community. 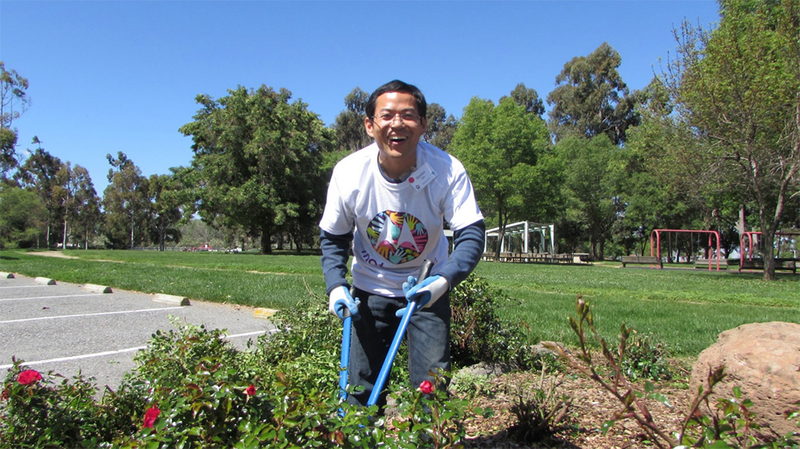 Baylands Park, City of Sunnyvale: Beautifying a local park through general cleanup, painting facilities, planting new trees and shrubs, and laying mulch. 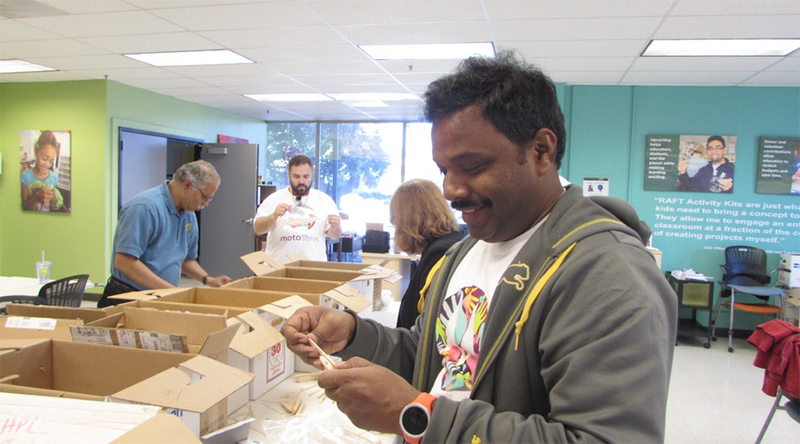 Tuesday’s activities were part of a year-round series of volunteer programs offered by the Motorola Mobility Foundation to Motorola’s employees. The Foundation’s mission is to catalyze the innovative use of technology to improve lives and communities. It does this by leveraging employee expertise and talent, providing funding, and partnering with nonprofits, learning institutions, startups, government, corporate and civic organizations. Click here to learn more about the Motorola Mobility Foundation. To those that have volunteered, thank you for your time and supporting Motoserve!